Step up to the window of the people’s truck. There was a time when food trucks were a novelty in San Antonio, when we didn't have dedicated parks and hundreds of trucks roaming the city. Food trucks used to be regarded as diners on wheels. 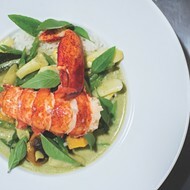 Now, they're seen as a way for a new chef to make their mark, or try something new, and eating at one these days is akin to eating at a pop-up. Food trucks aren't allowed to serve just food — they have to serve an experience. Box Street Social is seeking to bring you that experience. Chef and founder Edward Garcia wants to unite the community around good food. It's not a bad premise — I mean, we all have to eat, right? So the big question is, does his food have the power to unite the people? The answer — definitely (unless you're a vegetarian). 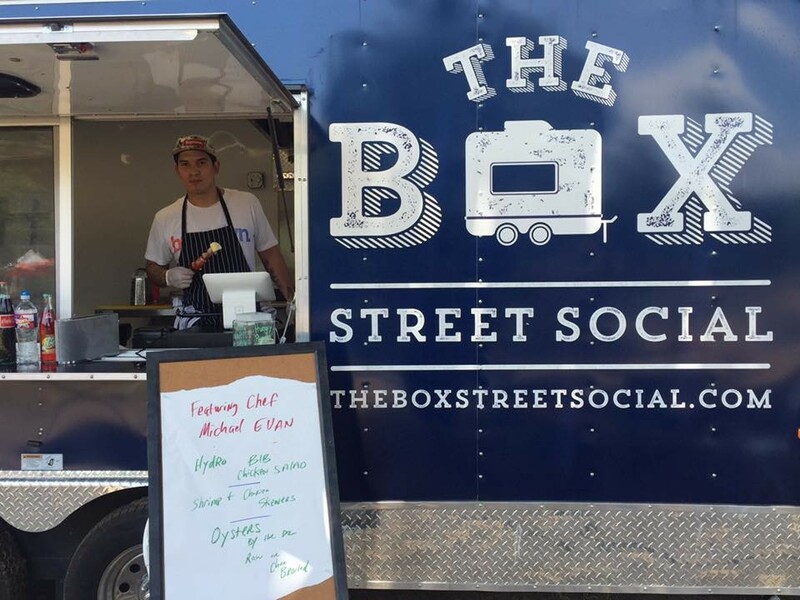 Box Street Social is usually parked at Alamo Brewery, the truck-in-residence if you will. 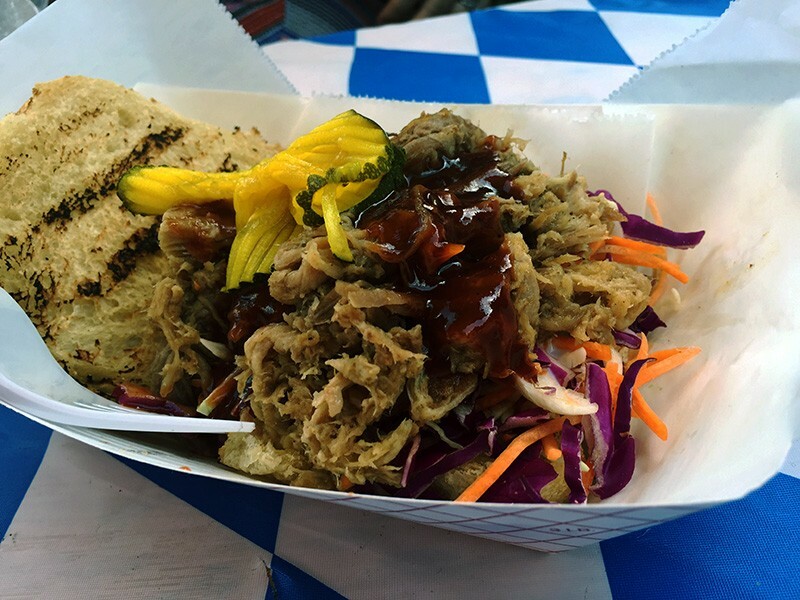 Since the truck's debut in August, they've been a regular at Alamo Brewery and fine-tuning their menu. Their menu is a mish-mash of bar foods, depending on the day. Standing menu items are the pulled pork sandwich, Thai wings and mac 'n' cheese. 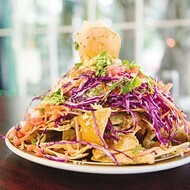 Rotational items include burgers, bacon (for bingo Thursdays at Alamo Brewery) and stuffed avocados. On a recent visit during Alamo Brewery's Oktoberfest celebration, Box Street added a bratwurst burger and turkey leg to the mix, which helped me carbo-load for a round of polka. The pulled pork sandwich is a regular favorite. The pulled pork sandwich is a regular favorite, served with zucchini pickles and cabbage. 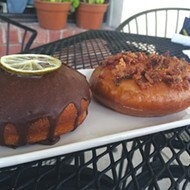 The flavors were all on point, but the bun withered under all of the sauce. The bratwurst burger was spectacular — the bratwurst is served in a patty form, so you don't have to perform lewd mouth contortions to eat it. Pickles, sauerkraut and a dark bun gave it a very German feel. I often find that sauerkraut is too tangy and drowns out the rest of the meal, but Box Street's gives just enough vinegar to play off the saltiness of the brat. Here's hoping they start including this one in the regular rotation. The pulled pork also comes in an avocado, but you should opt for thae spicy crab mix instead. The crab itself isn't remarkable, but the sauce is tangy and creamy. There's a dollop of cream cheese buried in the sauce, which threw off the balance of the dish for me. It's not so spicy that you'd need some dairy to cut it, so I'd recommend just scooping this out. As I watched small children dance and cyclists chat, I saw that Box Street is helping create a meeting place for the people of Dignowity Hill and beyond. If you ask me, they're doing what they set out to do.